Veracyte said that data supporting the use of its Percepta Bronchial Genomic Classifier to help reduce unnecessary, invasive biopsies as part of lung cancer diagnosis was presented at the recent World Conference on Lung Cancer. 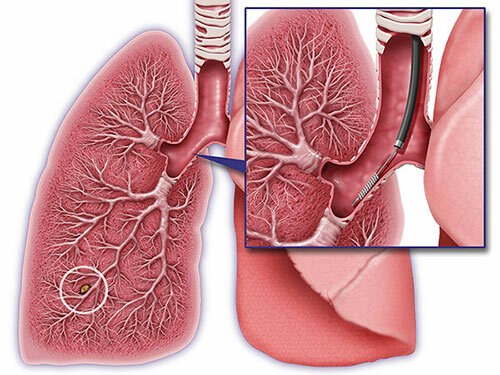 The multicenter study involved 163 current or former smokers undergoing bronchoscopy to evaluate lung nodules or lesions suspicious for cancer. Among the 123 patients whose bronchoscopy results were inconclusive, i.e., meaning that cancer could not be ruled out, the Percepta test identified patients at low risk of cancer with a high level of accuracy (negative predictive value of 94%). The genomic test and bronchoscopy had a combined ability to detect cancer (i.e., sensitivity) of 96%, compared to 51% for bronchoscopy alone.